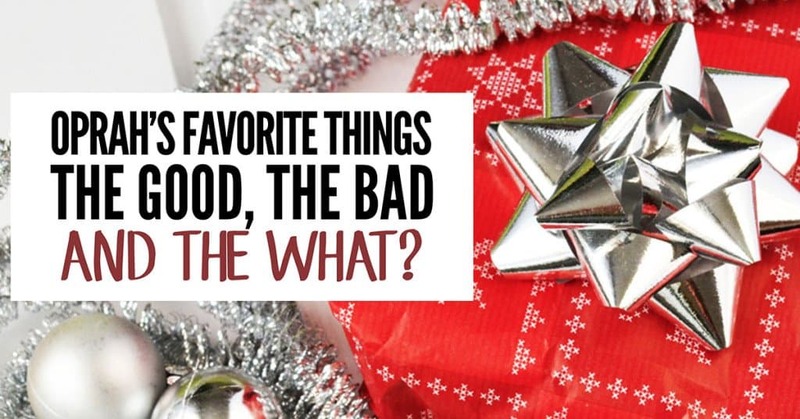 Oprah’s Favorite Things: The Good, The Bad and The What? You can buy most of Oprah’s 2015 List on Amazon, but not all of it. The list as it appears in her magazine has several items that you can’t get on Amazon. That’s good because when I first browsed the list on Amazon, I felt this year had a certain generic sameness that previous years had avoided. Amazon’s product photography is not the best and there’s something about a beautifully photographed layout on a magazine’s shiny pages that make things seem so much more appealing. However, there are still some delightful items that can make wonderful gifts for your loved ones (or you! ), some misses that I fixed for Oprah, and a delightful WHAT? that I’m going to have to order just to see in person. Letters to My Future Self, $8.97. Oprah recommends the Letters to My Love as her favorite of the Letters to… series she’s featuring on her list, but I love the idea of including this as stocking stuffers for my kids. If they are like every other person on the planet, they will start one paragraph of one letter and then put the whole thing in a drawer, only to be found years later when they move. But even that one paragraph can be so enlightening and such a touchstone back to the past. I’d like them to have that. 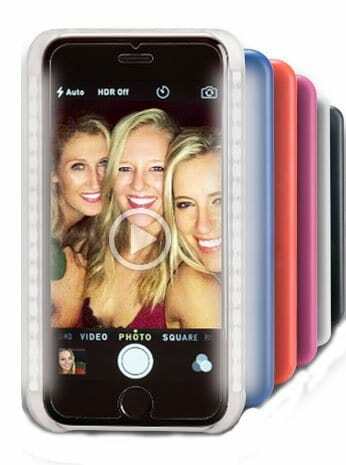 LuMee Phone Case, 59.95 for the iPhone 6 version. (Oprah has a link on her site to get it cheaper: $50 with a 20% discount with the code OPRAH.) Front-facing LEDs to automatically give every selfie a flattering glow? Yes, please. 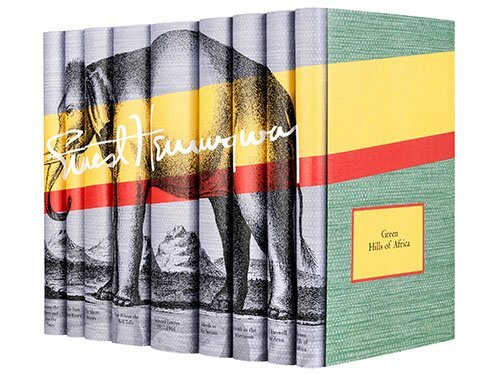 Ernest Hemingway Elephant Book Set from Juniper Books, from $395. I love books. I don’t mean I love to read books, although I do of course. I mean I love to stick my nose inside a book and inhale its beautiful smell. I love to run my hand over a silky page and feel the ever so slightly raised type. And I love looking at my books neatly organized and proudly erect in my bookcase, proclaiming that I am definitely the type of person who totally intends to someday read the complete works of Ernest Hemingway. The one-star review on Amazon points out that you can get the entire set of books for less than half the price so what you’re paying for here is the co-ordinated dust covers and band. That person is missing the entire point; that’s exactly what you’re paying for. It’s a piece of art with books as the medium. I’m a little emotional just thinking about it; somebody needs to get these for me. Personalization Strap Key Rings, $50 to $60 plus $23 for personalization. Let’s say you and I are really good friends and that I know you like to travel. To honor our friendship, I present you with a tiny box containing an equally tiny leather ribbon monogrammed with your initials. As you open your box I exclaim, “It’s for your luggage, see? You put it on your luggage so you can find it at the carousel!” What are your thoughts at that moment? Are you thinking, “Wow, I bet she dropped close to $75 on this plus God know how much for shipping!” I propose that you are not. I propose that you are looking at me with a strained smile and thinking how you spent too much on the mid-priced bottle of wine you are about to hand me. Here’s something equally small that costs about the same and is infinitely cooler: Trakdot Luggage Tracker, $69.98. Why look for your luggage? Let your luggage text you! 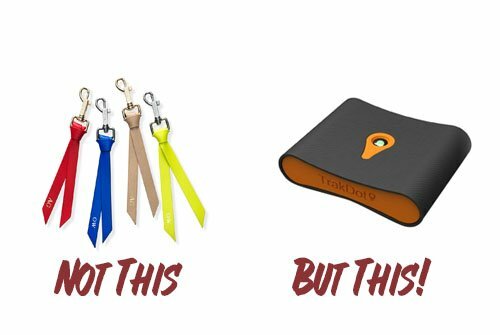 Put this little device in your luggage and you’ll be able to track its exact location on your smartphone. Plus it will text you when it lands. Now your strained smile is hiding the fact that your wine is not nearly nice enough. Ha! Skits Women’s Providence Brilliant Shoulder Bag, $425. That’s right, $425 for a travel purse that holds your iPad. 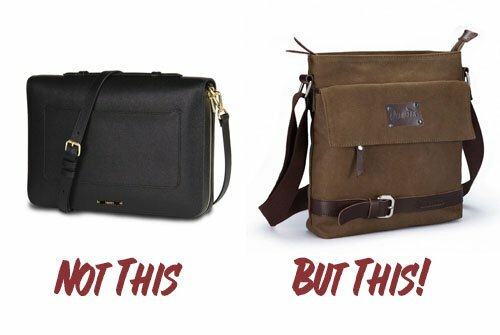 I just feel like we should be offended by that, particularly when you can get a Zebella Vintage Canvas Shoulder Bag for $19.90. Take the savings and buy yourself a little something. Cheese Knife Set, $425. Because we all need a set of knives just for cheese that we paid $425 for. Or you could pay $24.99 for this super cute set of cheese knives and add some actual cheese for a really festive gift. What has been seen cannot be unseen. Check out the reviews. Loved the post and the favorite things! So glad that I got a chance to visit your blog! This has to be the best post so far. Loved your comments. Yes. The menorah challah. I had a feeling you were going to share it. Oh, lordy. Hasn’t someone checked her list first? Before it’s live? Also – I LOVVVVE that bag. I might go look for it for myself right now. 19.90? Come on! That’s an awesome steal! Do you think they put it in as a joke? Because cmon! I love that bag too and it is an amazing price. 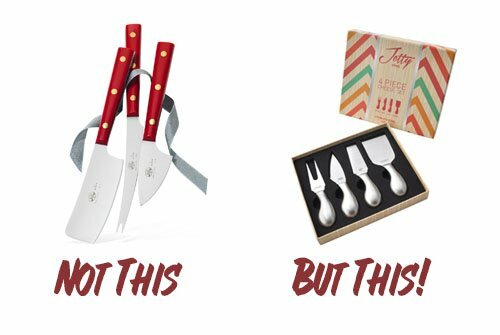 I’m not against paying for something that’s worth it but cheese knives don’t qualify. And I’m totally getting the luggage tracker. Ladies, the menorah challah may be the best ice breaker for a Hanukkah Party ever! Just be sure that the hostess in not gluten-free! I bet it sells out Ellen! I know I’m getting one! Oh my goodness. I traipsed ACROSS MANHATTAN once when visiting to buy a bra I had seen on Oprah and get “fitted” by the amazing people at the store she recommended. The bra did make my cleavage look great (while simultaneously making my wallet look more svelte) but holy heck it was the most uncomfortable bra I ever had! Live and learn! This was a fun post. Too funny. I remember my disillusionment when the $90 shirt from Brooks Brothers wasn’t “the most flattering white shirt I’d ever own”. Never occurred to me to look at Oprah and then look at myself and notice how we had very different body types. I count myself in the “love Oprah” club, but this list always makes me a little bonkers. Her $350 cashmere socks (not on this year’s list, but I imagine that she has them) are just a tad out of my range. I do love that she helps us justify our pajama love though! She has nightshirts on her list this year that are super cute. And yes $350 cashmere socks are a little beyond the pale. I need them to clean my house and organize my life for that price! In grad school I wrote a paper on “The Oprah Effect” and every year when her list comes out it makes me laugh. I heard the list this year didn’t include many big ticket items (aka it’s more affordable for the average person). I love your take on it! There’s still a couple of things on it that are out of my price range! But I can see where it’s probably more down to earth than in the past. No cashmere pjs or anything! Love your Not This But This — excellent choices! Who needs $425 cheese knives?? And I don’t even want to see that bread thing again . . . really bad images come to mind! I’m formally putting you in charge of favorite things from now on! We can still be friends Brenda 🙂 I’ll admit the challah has given me some doubts. 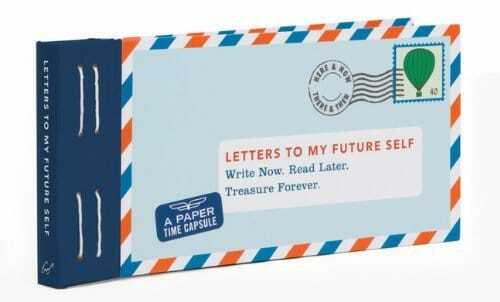 I love the idea of a letter to my future self. But I don’t need a fancy envelope mailer to do it. Fun post! I haven’t seen it yet but I think it has prompts to help you get started. But that’s actually a great idea for a post, isn’t it? What would you like to say to your future self? You’re definitely right that you don’t need a fancy envelope for that. You should get it. Treat yourself! I like your alternatives to the overpriced items Katy. 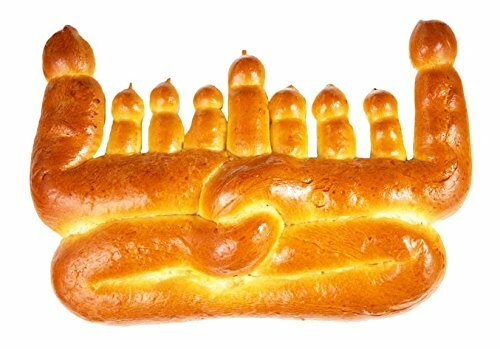 The menorah bread looks sort of obscene but since I love bread, I’m sure I could get past it. Pass the wine and cheese please!